In a world where the internet is becoming bigger and faster by day, more and more businesses opt for online promotion, that can easily make them known worldwide and bring them in front of many new possible clients. At the same time, more and more startups are launched with only an online presence and no physical offices or stores. In this new world a website with no visitors is like a store in the dessert. It might look great and have a lot of desirable products and promotions, but you won’t get sales that often. As soon as website owners notice this, their first thought is to opt for the “free” search engine traffic, hoping to get a place on the first pages of big engines like Google, Yahoo or Bing. They soon realize that although once you get your high rankings, traffic will be free, reaching the first page in search engines can prove to be quite expensive. Also, once you have reached a high ranking, one algorithm update on the search engines, could take you back to where you started, or worse, remove your website from rankings for good. This is what makes a lot of website owners move to a more stable traffic stream, visitor acquisition. It might seem easy at first: just buy 1000 visitors, with 5% conversion rate and you just made 50 sales, right ? Well, as you might imagine, things are way more complicated even when it comes to a simple traffic acquisition. There are a lot of categories of visitors that you can pay for: there are PPC visitors, banner clickers, popup or popunder visitors, niche leads, redirected users and so on, and each have different prices and values. For example, you will find websites that offer 10.000 visitors for 5$ and although this might seem like the deal of your life, it may actually be the worst decision you ever make. Not only that you probably won’t make a single sale, but if you rely on adsense or other ppc networks for some extra income, you could get banned for using low quality traffic that affects the advertisers. At the same time, if you have a website in a very competitive niche, getting one lead could cost you $10, $20, $100 or even more, but that one lead could earn you thousands of dollars in pure profit. Right in the middle there are visitors acquired through PPC (Pay Per Click). These are visitors that see your ad, are interested in what you have to offer, and will land on your website willingly. 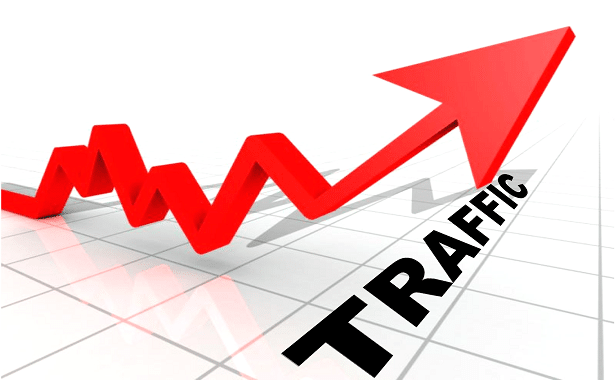 The best part is that this kind of traffic doesn’t have a fixed price like leads have, instead you bid your desired price per visitor and if there is no other advertiser that offers more, then that traffic is yours as long as you have funds in your account. This is the traffic that most businesses opt for, because it is very reliable, it converts and it usually isn’t too expensive. In some niches you won’t have to spend more than $0.05 for each visitor that clicks on your ad and lands on your website. PPV traffic, usually used to send traffic to a presentation video, is in the price range of the PPC, although usually cheaper (you could end up spending $0.01 – $0.05 per visitor). Email blast visitors (if you buy from reliable sellers, this type of traffic will have a high conversion rate, because the visitors will come from the seller’s own subscriber list, gathered and kept active by the seller himself.) Althouh of great quality, this type of traffic could prove to be very expensive and each email sent to a subscriber list could set you back $100, $1000, or even more, depending on the list size and the niche you’re going for. Redirect traffic – visitors that want to be taken to a different website but are transfered to yours instead. People don’t usually like to be sent to another website, so be prepaired to welcome them to a page that explains in a few words why are they on your website and what you can do for them, if you want to have any conversions. This type of traffic is also very cheap due to its low conversion rate. Another great way to pay for your visitors is to buy ad space on different websites inside your niche. You can create your own personalized banner and place it in different areas of a website, as agreed with the webmaster. Usually, the faster an user sees your banner, the more you’ll have to pay for that ad space. This means that a banner in the header of a website will cost a lot more than the same banner that is placed in the footer of the same website. There are a lot of ways to pay for that ad space: you can pay per visitor on your website, in a way similar to PPC, you can pay per impression, meaning that you will pay for each visitor that sees your banner, whether they click on it or not, or you can pay a fixed price for the banner to remain on the website for a fixed period of time. The difference in terms of price between PPC and impressions is that for $1 you could get 10 PPC visitors, or 1000 user impressions. Depending on that banner’s conversion rate, 1000 impressions could get 1 visitor, 10, or, in an extreme case, all 1000 on your website. So what is the best traffic for your website? This is something that only you can figure out. Try all of them and you decide what traffic method is best for you and your website. Once you have picked one traffic method, keep testing it to improve it. Test banners, ads, geolocation of your targeted visitors, and so on. Don’t forget that users are not only numbers and statistics, they are real people, so taking them to your website in a more natural way will make them stay more and even buy from you. What about our average working Joe, will he afford to pay for his traffic? Traffic acquisition isn’t necessarily a process of spending thousands of dolars. You can always start low, by testing $10 worth of traffic, and just tweak your website and banners until you begin to turn $10 into $11 and move upwards fromr there. Seeing that most average people won’t have a chance in search engines in their desired niches, because of the big companies that spend a lot of money to keep those high ranks, trying, teaking and testing an ad campaign until you earn could prove to be the right decision. How Much Does a Party Clown Cost ? How Much Does Body Piercing Cost ?